theguardian.com – Steven Spielberg has confirmed he is to direct an adaptation of Roald Dahl’s celebrated children’s story The BFG (aka Big Friendly Giant). According to Variety, Spielberg’s Dreamworks studios bought the rights in 2010, originally with a view to The Best Exotic Marigold Hotel’s John Madden to direct. However, Madden is now busy on the Marigold Hotel sequel, and Spielberg has decided to pick up the reins. The announcement comes after a period of relative uncertainty for Spielberg following his Oscar-winning biopic of Lincoln, due to the collapse of his planned sci-fi film Robocalypse. After a series of rumours and near things, Spielberg recently committed to a cold war thriller set against the backdrop of the U2 spy-plane incident with Tom Hanks as lead. 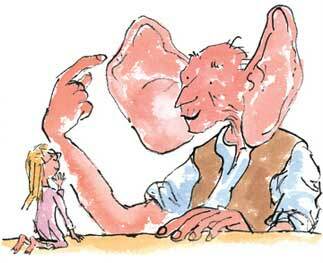 Spielberg is likely to shoot that film first, with The BFG following in 2015 and released in 2016. The BFG was first published in 1982, and an animated film adaptation voiced by David Jason and Amanda Root was released in 1989. Hey Spielberg, did we just become best friends? My inner child is having a field day. First I hear Magic School Bus is coming back, now The BFG. I will be going to see this movie, and I don’t care if I’m the only person in my mid-20’s in the theater. No shame when it comes to the BFG.